This how to contains a guide for configuring statistics in unbound. 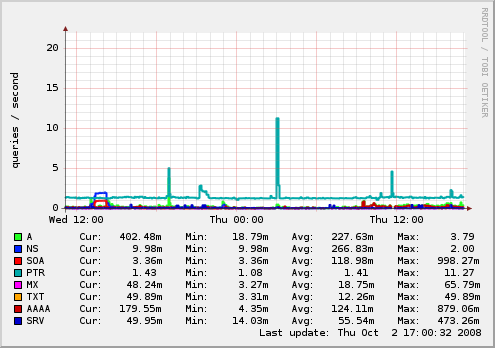 Below, statistics with Munin and Cacti is shown. Other systems than the ones listed here are possible, this is an example. 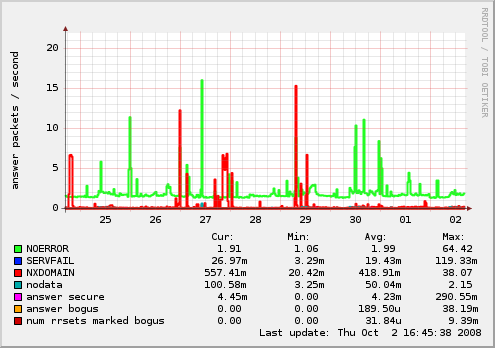 Monitoring statistics with Zabbix is also possible, there is a template at https://github.com/jeftedelima/Unbound-DNS. Unbound has an option to enable extended statistics collection. If enabled, more statistics are collected, for example what types of queries are sent to the resolver. 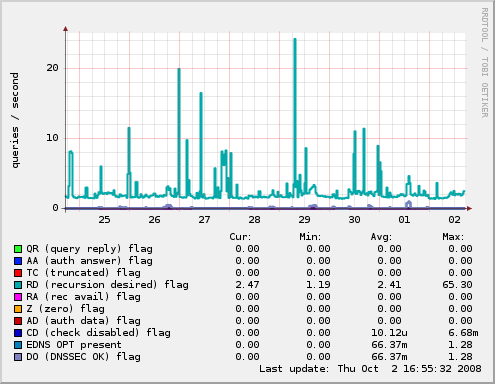 Otherwise, only the total number of queries is collected. Statistics can be printed to the log file using the statistics-interval, but this howto concentrates on using unbound-control to obtain statistics on demand. If you set a statistics-interval, every interval it is printed to the logfile. To use unbound-control, first setup unbound control (use the unbound-control-setup script). See howto setup unbound. 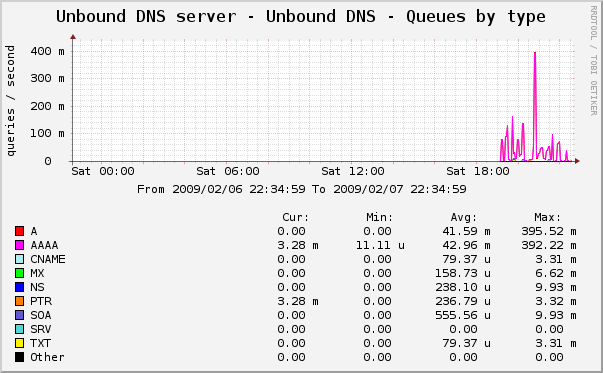 Then you can use the unbound-control stats command to print out the statistics on demand. Various graphing tools expect the counters to go up over time. Some may expect counters to be reset to 0 since the previous statistics printout. The statistics-cumulative option controls unbounds behaviour. By default it is set to no, which resets values to zero after stat printout. In the contrib directory in the source of unbound is the unbound_munin_ plugin script. 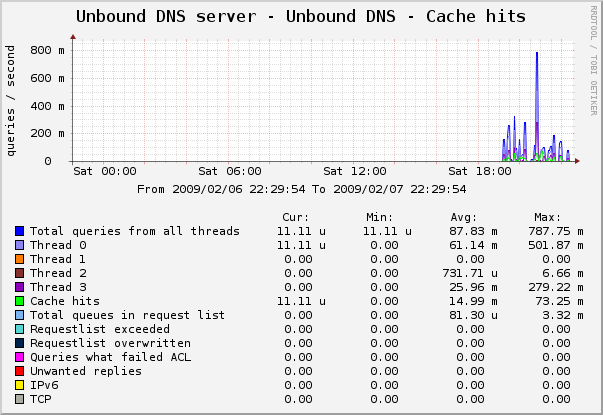 It can be used with munin to monitor the health of an unbound server. 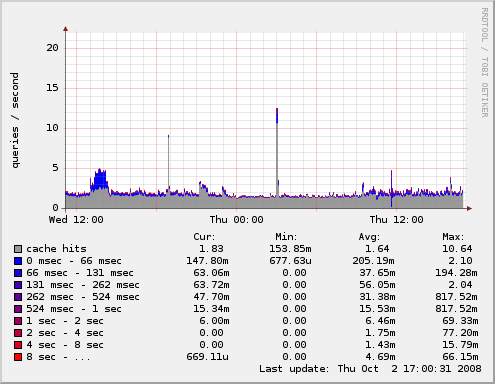 Install munin and munin-node with the appropriate package install tool. The plugin script for unbound can be copied somewhere on the system (such as in the unbound directory). Then create symbolic links from /etc/munin/plugins to that file. 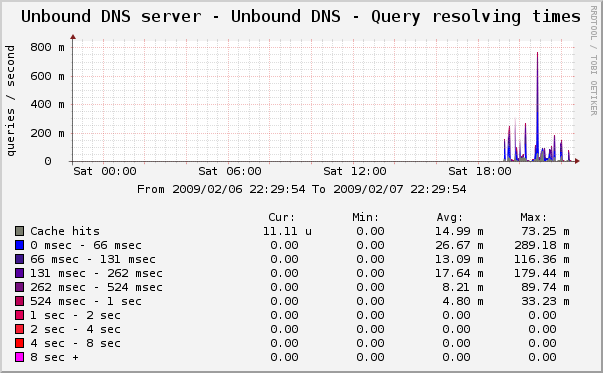 In the /etc/munin/plugin-conf.d/plugins.conf file you can setup the unbound munin plugin. Below are the default values. Set the correct values for your system. The statefile is a temporary file. 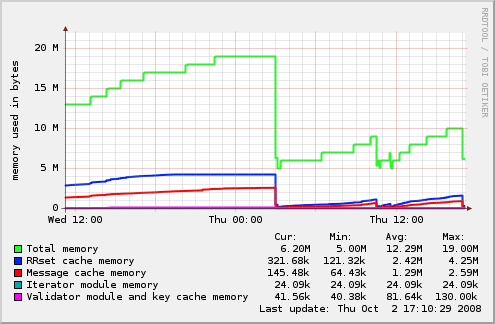 Restart the munin-node daemon. 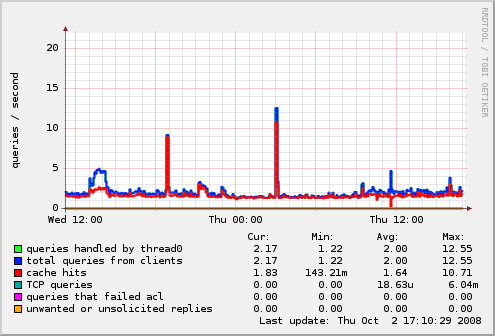 Munin will automatically pick up the new graph and plot it with rrdtool. 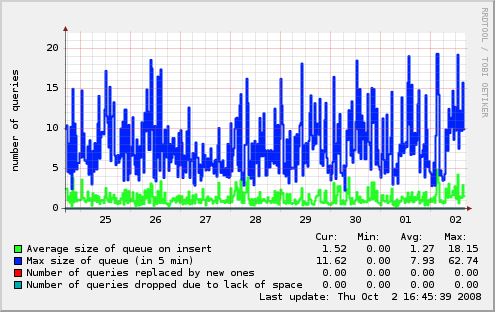 Additional graphs are possible, below is a list of them, and examples. 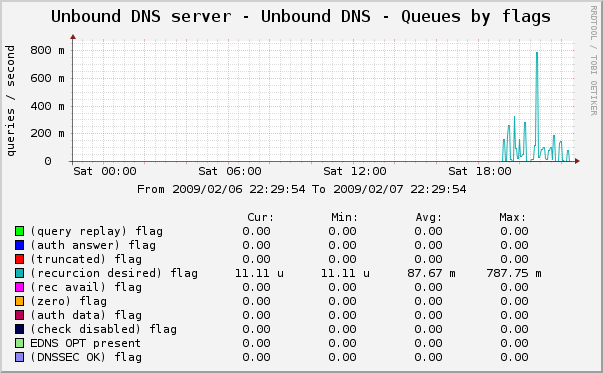 Create (additional) symbolic links to unbound_munin_ with the names (in bold) of those graphs to enable their display. Several require that extended-statistics is enabled in config. Pictures included are samples, your statistics may look different :-) . A sharp increase in unwanted traffic indicates a possible spoof run in progress. 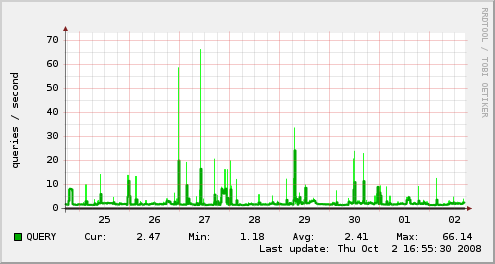 You can see that the server was restarted during the day. The types received are shown. Usually only IN (internet) class. Usually only QUERY (normal query). The setup is described in the README in the tarball in the unbound source contrib directory: contrib/unbound_cacti.tar.gz (contributed by Dmitriy Demidov). Updated versions may be found here (lissyara.su).